What inspired you to write your first book, Playing for More? It’s funny, the first idea I was kicking around in my head was about my dad, Steve Keenum. I’ve been blessed to be the son of a football coach and a Christian man. I’ve learned so much from him and I wanted to share those lessons. But then when I started thinking about it, I realized my father’s influence shows up in every part of my life. I thought that telling my whole story would bring the things my dad taught me to life. 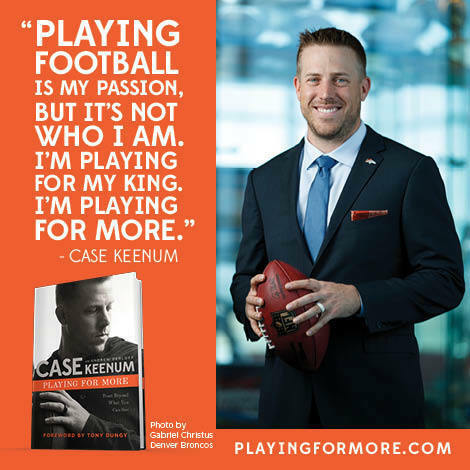 Tell us about the title of your book, Playing for More. 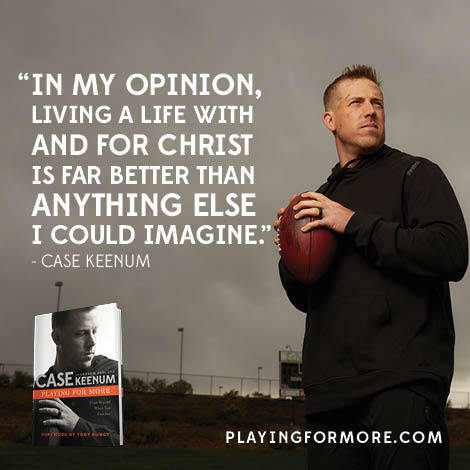 What is the “more” that you play for? I am a very competitive person. It doesn’t matter if we’re playing football or a silly card game – I want to win at everything. But if that’s all I’m playing for, I’m cheating myself and my Lord. As I say in the book, I’m playing for an Audience of One. God gave me that competitive instinct and the ability to throw a football. I’m not out there just to break records or rack up big numbers. Those are nice. But the real motivating factor is much bigger. 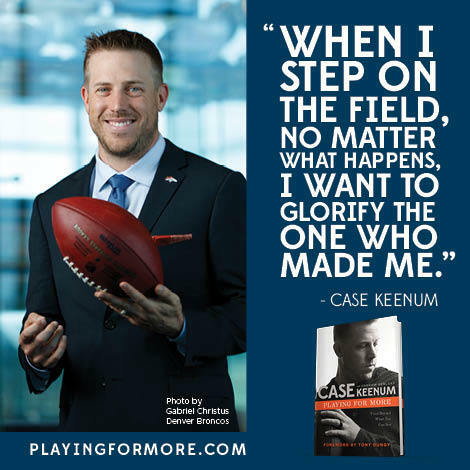 I’m out on the field for one reason – to glorify God. A lot of people were surprised when you said the Minneapolis Miracle was the third best moment of your life. Tell us about the two moments that topped that one. There were some crazy moments after the Minneapolis Miracle. I could barely put together a sentence. But this was an easy one. Marrying my wife Kimberly is obviously above that. If you knew Kimberly, you’d know why. Giving my life to Jesus Christ is the most important thing. How can anything else possibly compete with that? Winning football games is amazing. But to wake up every day and know that Jesus loves me has given me true happiness.  You wrote this with Andrew Perloff, a writer for Sports Illustrated and a part of The Dan Patrick Show. How did you guys meet each other and how did you choose him to be a part of this project? I met Andrew when I first got to the NFL. He was writing a story for Sports Illustrated on quarterbacks who came from Texas. We instantly hit it off. We’ve been able to get together for dinners, usually during Super Bowl week. This year we started talking about doing a book and both got excited. Andrew immediately understood why I wanted to do this. Not to brag about my football accomplishments. But to show how my faith has guided me throughout my career. Working together was easy because we both wanted to send a positive message out to the world with this book. People look at your success and often don’t realize the difficult road it took to get here. What are some of the biggest challenges you had to overcome? Nothing in my football career has come easy. I was lightly recruited out of high school and only received on official scholarship offer. During college I injured my knee and had to petition the NCAA for a sixth season of eligibility. After a difficult rehab process, I finally returned to the field and had success. But I still wasn’t drafted by an NFL team. I spent my first pro season on the Houston Texans practice squad. Then even after I had the opportunity to start eight games for the Texans in my second season, I was released the following offseason. My pro career has had plenty of ups and downs. I’ve had to earn every snap I’ve ever gotten. I think that’s why I appreciate everything that’s happened so much. I’m not sure I’d have it any other way. It’s obvious from the book that family plays a huge role in your life. Tell us a little about your family, and the importance of family for you. My wife Kimberly recently showed me some video she took after the Minneapolis Miracle and one of the best parts is that my family is there after the game. I’ve been blessed to be part of a very tight-knit family. My dad has been at every football game I’ve started in high school, college and the NFL. My mom is often there as well. If she can’t make it in person. she’s always one of the first messages on my phone after the game. My parents have provided an incredible model of a Christian marriage and set a standard Kimberly and I are trying to live up to. My sisters are great and were a wonderful resource for writing this book. And I’m very close with Kimberly’s family as well. I’ve gotten to travel to some neat places in my NFL career, but Abilene will always be home because that’s where my family is and it’s with them that I’m truly grounded. What do you hope readers gain from reading it? 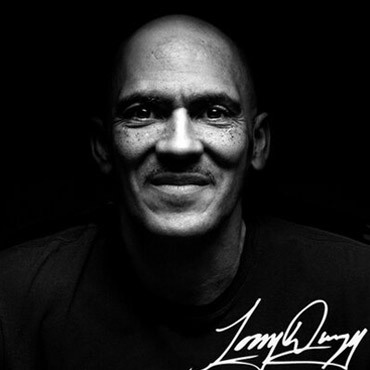 I wanted to tell my story so fans could get to know me better and so people could see how having Jesus Christ in my life has made all the difference. I’m just a guy from West Texas… I couldn’t have predicted some of the things that have happened. I hope my journey inspires others to believe in themselves and dream big. Especially the young readers who are about to reach the point when they have to make real decisions. Decisions with consequences. I got a lot of help at critical points of my life. I wrote Playing for More with the intent to show that anything is possible with the Lord’s help. He's been a leader and a winner all his life and he's demonstrated those qualities since he was a young athlete. And he's done it not just during the record-breaking performances and the championship seasons, but in the disappointing times as well. He kept the same upbeat attitude when he wasn't highly recruited coming out of high school and when he got injured. When he wasn't drafted coming out of college, he didn't get down but just became more determined to prove the experts wrong. He signed a contract with his hometown Houston Texans but didn't experience the immediate success that he had in college. The first two years of his NFL career provided nothing but disappointments. Through it all, though, he never lost his desire or his belief in his abilities. Where does that type of attitude come from? In Playing for More you'll learn that attitude came from many sources. 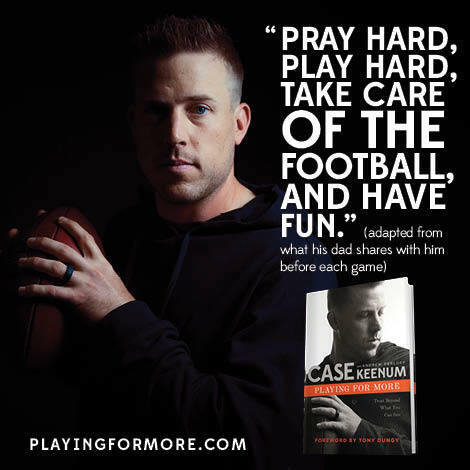 It came from a very supportive family and a dad who taught him not only how to play quarterback but how to work hard and sacrifice to be the best he could be. It came from some excellent coaches who helped him develop as a player. 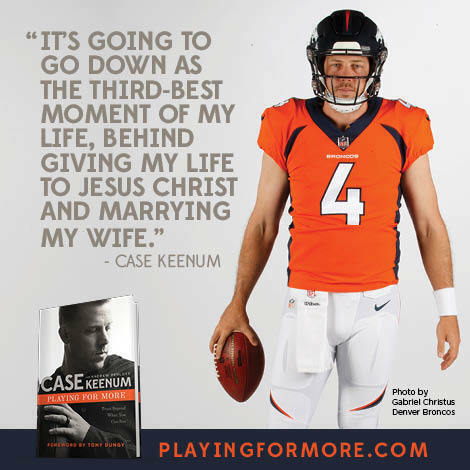 But, more than anything, I believe you'll see that the driving force in Case Keenum's life is his relationship with Jesus Christ. Playing football is my passion but, it is not who I am. I'm playing for my King. I'm playing for more. 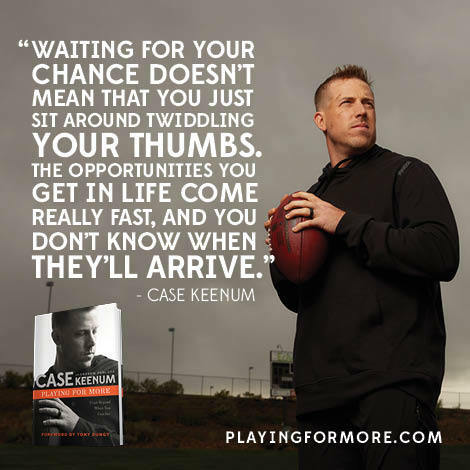 Waiting for your chance doesn’t mean that you just sit around twiddling your thumbs. The opportunities you get in life come really fast, and you don’t know when they'll arrive. 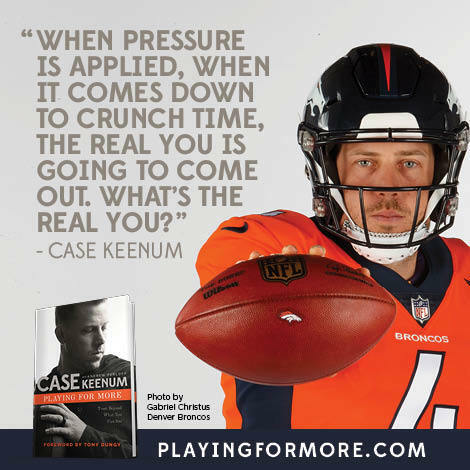 Case Keenum has traveled one of the most unique paths of any NFL quarterback. 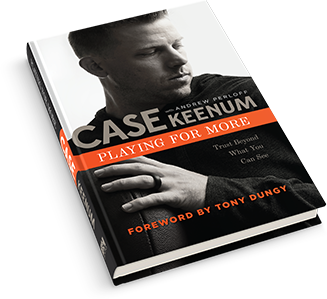 Case received only one scholarship offer, from the University of Houston, and went undrafted despite breaking multiple NCAA football passing records. 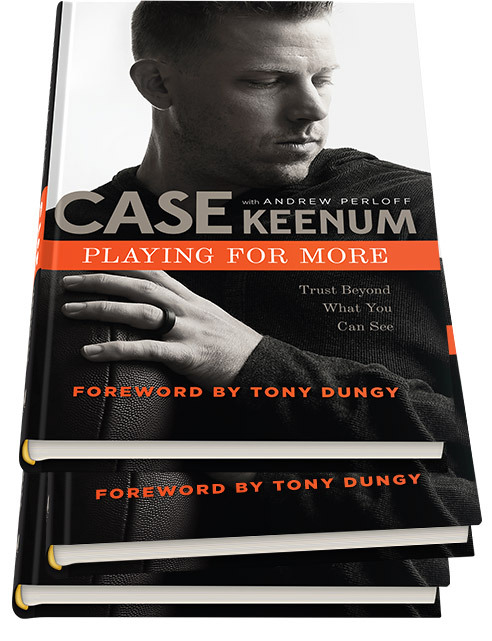 He has overcome every obstacle to become a successful starting quarterback. 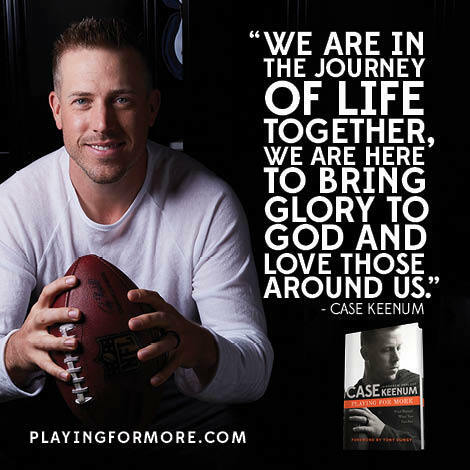 In 2017, Keenum captured America’s imagination by leading the Minnesota Vikings to a 13-3 record and an NFC North title. 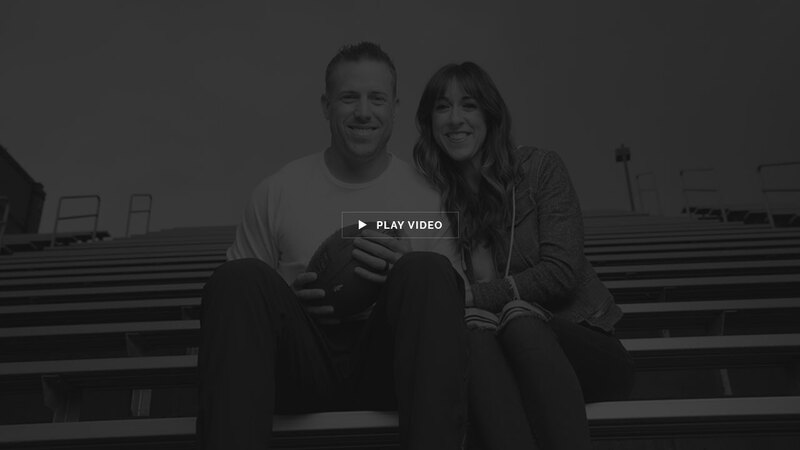 His game-winning touchdown in the final seconds of their divisional playoff game against the Saints, the "Minneapolis Miracle," made Case part of NFL history. 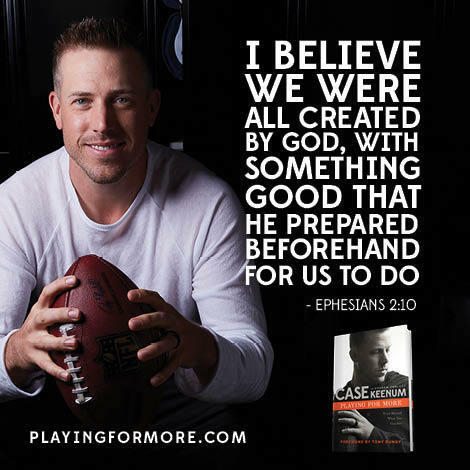 Keenum holds the all-time college football mark for passing yards (19,217), touchdown passes (155), total touchdowns (178), and completions (1,546). He was Conference USA Freshman of the year in 2007, Conference USA Offensive Player of the Year in 2008, and Conference USA Most Valuable Player in 2009 and 2011. He is one of only two quarterbacks to win the Sammy Baugh Award for the nation’s outstanding passer twice (2009 and 2011). Keenum signed with the Houston Texans as an undrafted free agent in 2012. He has a record of 20-18 as an NFL starter with the Texans, Rams, and Vikings. 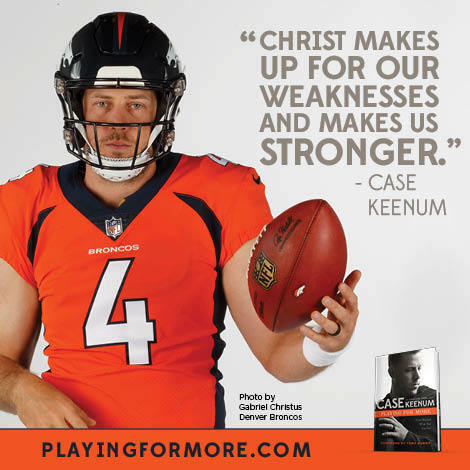 He posted career-highs in passing yards and touchdowns with Minnesota in 2017 and signed with the Denver Broncos in March 2018. 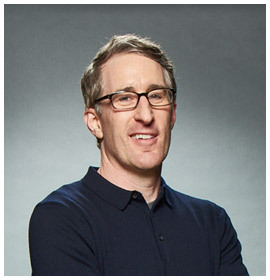 Andrew Perloff is an on-air personality on the television and radio sports talk program "The Dan Patrick Show" and contributing writer for SportsIllustrated.com. 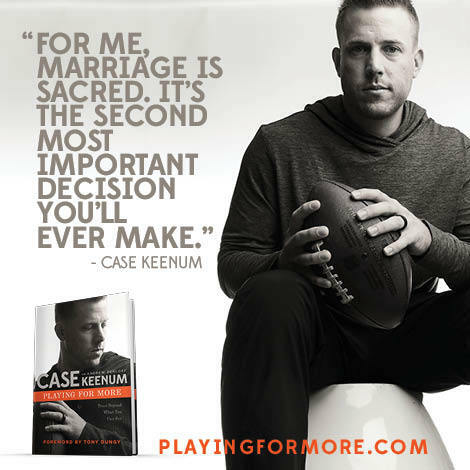 Perloff interviewed Keenum for a Sports Illustrated feature in 2013 and has covered him throughout his NFL career. Like many others, Perloff alarmed people around him by yelling very loudly during the Minneapolis Miracle. Share Playing For More on Facebook, Twitter, or Instagram. 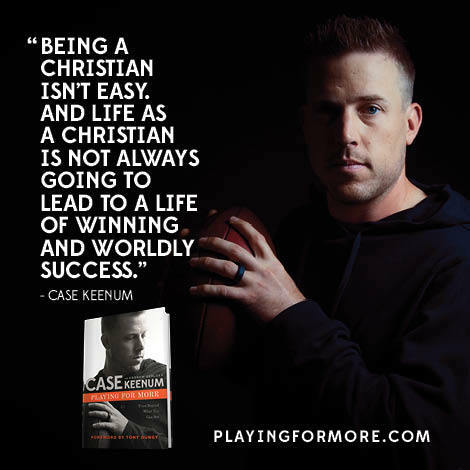 Enter your email below to receive a free chapter of Playing For More. Provide your name, email, address, and attach an image of your receipt below. We will mail you your signed book sticker to arrive by the book release date. The signed book sticker will ship separately from the publisher.